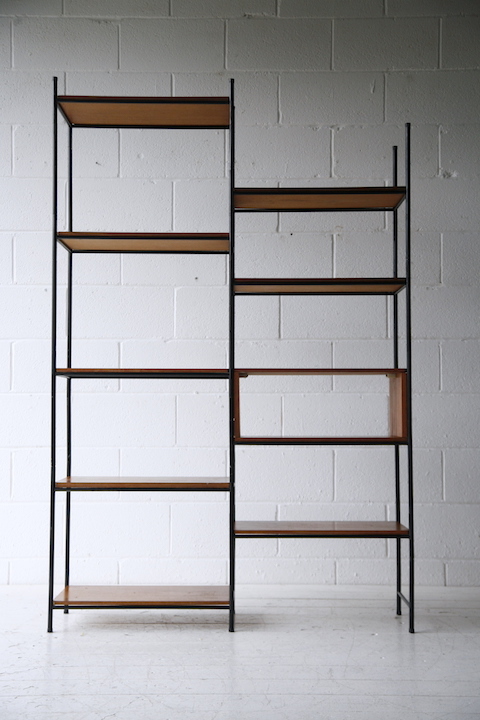 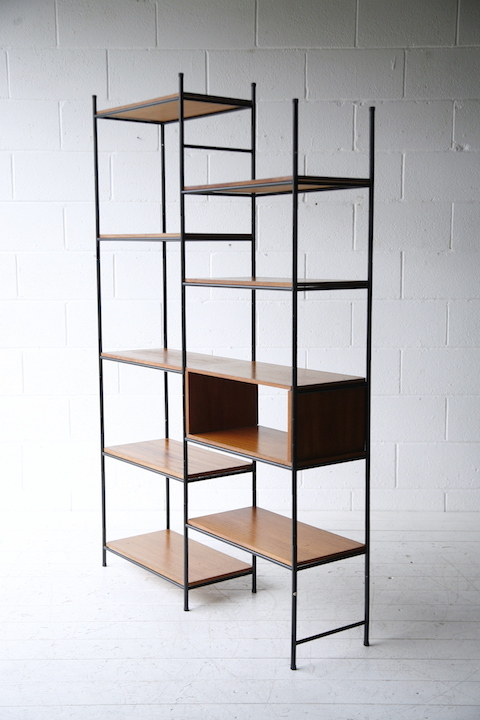 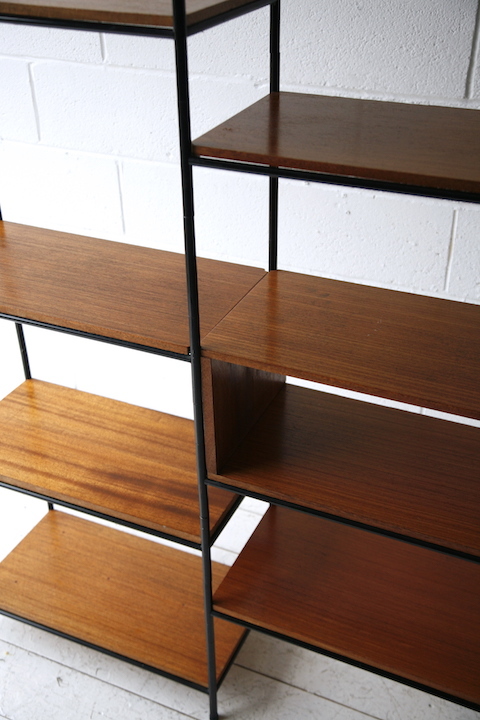 A 1960s teak shelving unit. 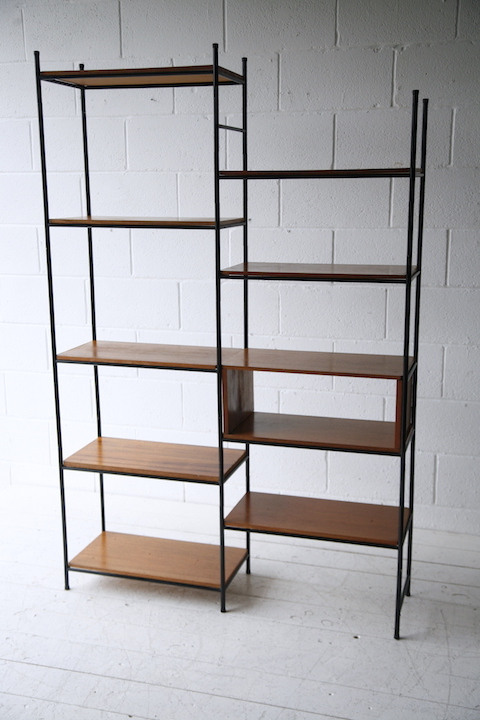 With adjustable knock-down tubular metal frame and teak veneer shelves. 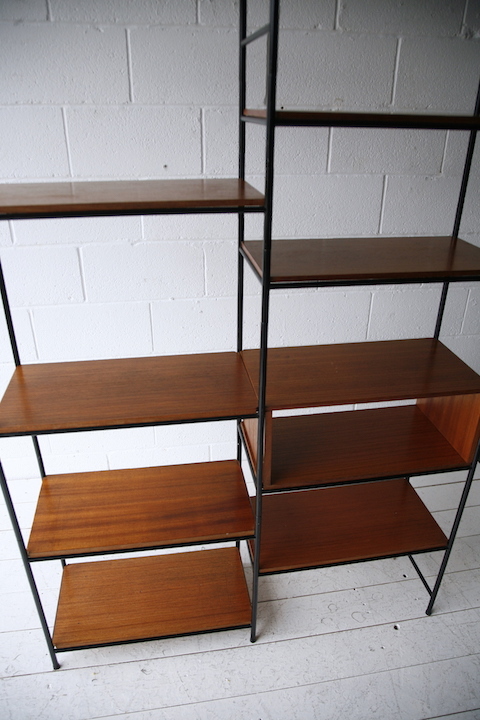 In good vintage condition with some marks and wear on the shelves.